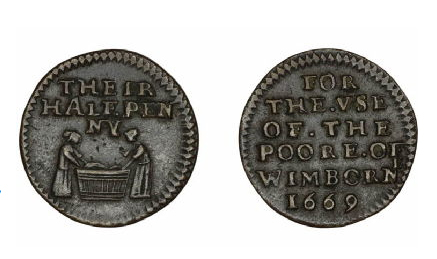 Token, © The Trustees of the British Museum. The conference about “Tokens: Culture, Connections, Communities” will be held at the University of Warwick on 8-10 June 2017. The keynote speakers are Professor Denise Schmandt-Besserat (Texas), Professor Bill Maurer (UC Irvine). The roles and power of the everyday objects in constituting social life has increasingly become an area of interest across multiple disciplines. Often used or handled unconsciously, everyday objects nonetheless enable different types of governance, relationships and communities, contributing to the formation and maintenance of ideologies, identities and normative orders. This conference focuses on one category of everyday object, the token, inviting an interdisciplinary exploration of the roles these objects have played from the beginnings of human civilisation until the present day. These small, unassuming objects perform significant functions within human society, and have shaped communities, institutions and relationships over time. – how have tokens operated as a form of alternative currency across time? – how might tokens formulate and maintain different communities, and communal identity? – what roles do tokens play in funeral, religious or other (liminal) contexts? – what role do tokens play in human relationships? – what emotional or psychological role do these objects possess? – what methodological approaches can we use to better understand tokens? We invite papers of 20 minutes duration. Proposals should include a title, name, email address, and an abstract of no more than 300 words, emailed to [email protected] by 1st December 2016. An edited volume of select papers arising from the conference is envisaged.